A great place for wildlife. I’d like to go back when the whales are there! We left Ushuaia behind in our wake as we wended our way through the islands back out into the Pacific and headed north towards the Antarctic, towards the real end of South America – the horn of South America. 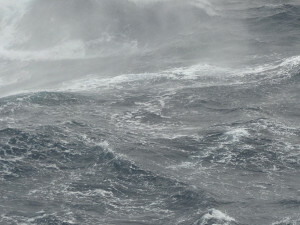 The sea was rough with huge swells of six metres as the two oceans clashed in their endless battle. 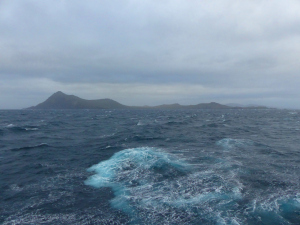 Hornos island came into sight and we pitched, yawed and rolled forward. 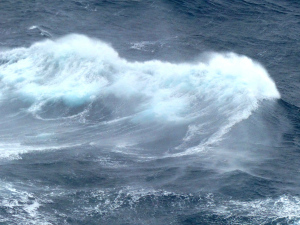 It was incredible to think of those old wooden schooners heading into this gale and high seas. They were either brave or foolhardy. To think of those huge waves crashing over ships so that sailors actually tied themselves to masts to prevent them being washed overboard. This was summer, there was a storm brewing but I dread to think what it might have been like in winter.